For years Aerolite 103 has been a charmer of the Part 103 class of aircaft. Needing no pilot license, medical, N-numbers, and being able to buy it ready to fly are desirable qualities. To this, Aerolite 103 adds great flying characteristics, features you might not think can be included to an aircraft that cannot weigh more than 254 pounds empty. Topping off this terrific package is a price tag of less than $20,000, ready-to-fly with electric starting, a an airfame parachute, and more. Whew ... that's a great value! For years Aerolite 103 has been a charmer of the Part 103 class of aircaft. Needing no pilot license, medical, N-numbers, and being able to buy it ready to fly are desirable qualities. To this, Aerolite 103 adds great flying characteristics, features you might not think can be included to an aircraft that cannot weigh more than 254 pounds empty. Topping off this terrific package is a price tag of less than $20,000, ready-to-fly with electric starting, a an airfame parachute, and more. Whew … that’s a great value! Terry Raber has returned with his charming Aerolite 103. He left the business for a time and another man tried to replicate the creation. Now, Terry is back under his Streamline (as in add-on strut fairing) brand. Aerolite 103 is a remarkably well-equipped genuine Part 103 ultralight vehicle that you can buy and fly for about $15,000 though you'll want to get up-to-date information. Terry Raber has returned with his charming Aerolite 103. He left the business for a time and another man tried to replicate the creation. Now, Terry is back under his Streamline (as in add-on strut fairing) brand. Aerolite 103 is a remarkably well-equipped genuine Part 103 ultralight vehicle that you can buy and fly for about $15,000 though you’ll want to get up-to-date information. Vierwerk Aviation is a family operation led by Wolfgang Labudde (far left) and wife Thilda (second from right) with help from their son and daughter. Aerolite 103 from U-Fly-It has been on a tear for the last couple years, producing at capacity and stretching to produce even more for 2016. Some of those very attractively priced aircraft — way under $20,000 ready-to-fly! ... take that, sluggish economy! — are headed off on the longest trip of their lives. The DeLand, Florida company has been shipping units to Europe where their German-based European distributor operates. So much for too-costly airplanes. Aerolite 103 (and a few other well-priced examples from light aircraft producers) proves an airplane doesn't have to be costly to deliver a good time. The German Aerolite 120 is somewhat costlier to account for shipping, German certification expense, etc. "British pilots have embraced Aerolite 120," said German distributor Vierwerk Aviation. "Aerolite's proper design, very good quality, and meticulous workmanship in every detail have been praised and recognized by everyone." Aerolite 120 is the European-approved version of America's Aerolite 103. The 120 designation refers to the German 120-kilogram (264-pound) class that is remarkably similar to FAA's Part 103. Vierwerk and their United Kingom (including Ireland) distributor Kairos Aviation, said "Kiwi" (referring to its distinctive green color) was a real eye-catcher and was presented at the LAA Rally event called Sywell 2015. Aerolite 120 was tested to assure compliance with the strict German LTF-L/UL regulations, and falls well within the criteria for the UK deregulated category called SSDR (Single Seat DeRegulated). The first example sold in the UK is G-OLAS (the British version of an "N-number" registration), which was exhibited by Kairos at the recent Light Aircraft Association (LAA) Rally 2015 at Sywell. You can read a detailed report on the experience of first UK Aerolite 120 owner Stephen Oliver in the November 2015 issue of LAA's Light Aviation and relates the impressions of someone coming to the very light Aerolite from heavier aircraft and some readers may find this instructive. It is a very straightforward description with something of a surprise ending. Some of Stephen's comments from the article are selected below. "For a very light aircraft (only 120 kilograms (264 pounds) and a MTOW of 250 kilograms (550 pounds), the Aerolite 120 carries little momentum, so she responds rapidly to control inputs and airspeed bleeds off very quickly; consequently, you have to keep the power on to some extent right through to the flare." I don't find that to be the case, but I have plenty of light aircraft experience, unlike Stephen. "[On takeoff] I applied full power from the Polini Thor 200 Evo air-cooled engine, which had easily started first time, every time, and I steadily climbed flapless out of the airfield, heading north over Pitsford. Best rate of climb is 41 knots (47 mph), which gives 1.6 meter per second (320 fpm) [of climb]; that's pretty much with full power at over 7200 rpm, [while] keeping a close eye on the temperatures. "With so little weight, even with me on board, there's little momentum to slow its response to control inputs; it all makes for a lively experience. The stall is quite benign at 35 knots (39 mph) clean." Much more detail appears in Stephen's full-length report found at the link above. Also, you can watch a video below for the first flight of Aerolite 120 in England. Aerolite 103 from U-Fly-It has been on a tear for the last couple years, producing at capacity and stretching to produce even more for 2016. Some of those very attractively priced aircraft — way under $20,000 ready-to-fly! … take that, sluggish economy! — are headed off on the longest trip of their lives. The DeLand, Florida company has been shipping units to Europe where their German-based European distributor operates. So much for too-costly airplanes. Aerolite 103 (and a few other well-priced examples from light aircraft producers) proves an airplane doesn’t have to be costly to deliver a good time. 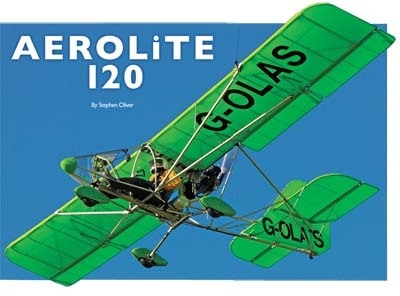 The German Aerolite 120 is somewhat costlier to account for shipping, German certification expense, etc. “British pilots have embraced Aerolite 120,” said German distributor Vierwerk Aviation. “Aerolite’s proper design, very good quality, and meticulous workmanship in every detail have been praised and recognized by everyone.” Aerolite 120 is the European-approved version of America’s Aerolite 103. Sun ‘n Fun 2015: Part 103 Ultralights Are Hot! M-Squared Breese owner, retired Captain Ray Anderson, donated to the Florida Air Museum his very special single seater that was highly modified in numerous ways; see our video on this amazing airplane. Quicksilver's single seat Sprint uses the twin cylinder opposed Hirth F23 that provides 50 horsepower to achieve wonderful performance in a Part 103 ultralight. Evolution Trikes makes the super-deluxe Revo and now this new Rev, a Part 103 ultralight available starting at only $17,900. Fly Hard's SkyCycle used a custom 15-layer-deep airbrush paint job to attempt winning its ninth-in-a-row award at Sun 'n Fun. Part 103 ultralight activity was not the news I expected to report from Sun 'n Fun 2015, certainly not as my first report. After an intense week shooting video interviews at Sun 'n Fun 2015, I am impressed to report that Part 103 is much more than alive and well. 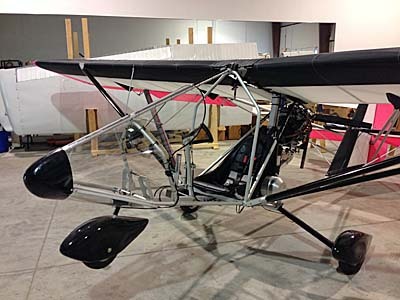 For those that may have missed this unique category, Part 103 ultralight vehicles (FAA's deliberate wording) are single seat flying machines of varying description that need no medical, not even a pilot license, no N-number registration, and can be sold ready-to-fly. The entire FAA regulation for them can be printed on the front and back of a single piece of paper. Adding to the charm of rarely having to interact with a government agency in order to have some fun in your airplane are a couple similar efforts in Europe. Germany has its 120-kilogram class (264 pounds) and England has its SSDR category (Single Seat De Regulated). Between these two and the now-32-year-old Part 103, fixed wings, trikes, powered parachutes, and even helicopters that can keep their weight down to 254 pounds empty (278 with an airframe parachute; even more with floats) and can keep their max speeds to 55 knots max and 24 knots stall are given unusual flexibility in these times of government pushing to heavily regulate many activities. Celebrate 103! So, with that in mind, we toured around the grounds of Sun 'n Fun making video interviews with designers and their aircraft. At vendor after vendor, we encountered something I did not expect. Several Part 103 producers were featuring new aircraft and every one I spoke to related good sales and phones ringing with interest. As longtime light aviation expert and Quicksilver specialist "Bever" Borne put it, "I'm selling airplanes to [some of the same] customers I had 30 years ago. Since then they went off and bought an Experimental, then a LSA, perhaps followed by a Cessna or Piper. Now, they're back. They tell me that after all that experience they realized the first ultralight they bought from me was still the most fun flying they had and now they want to return to their roots." Bever is not alone in his perception. Aerolite 103 producer, Dennis Carley took over production of this charming aircraft in late 2012. For 2013 he sold 20 airplanes, not bad for a start-up year (adding to his other business of building aircraft for customers). In 2014, he sold 40 Aerolites. Now, flush with orders following airworthiness approval in Germany earned by his dealer in that country, Vierwerk, he is forecasting 60 Aerolites for 2015. "That is my current maximum capacity," Dennis related, and that's before he potentially starts offering a four-stroke-powered model. Another vendor, Chip Erwin of Aeromarine-LSA, is seeing more interest in his Zigolo (video) and he has an all-new electric propulsion unit to offer for it; I'll have more on that later. Plus, he plans to offer not one but two single place aircraft with a four-stroke engine that he says is singular. Another fixed wing Part 103 ultralight I'll write when the project is complete is from Kolb, with their novel concept for removing the fear of taildragger flying in an upcoming new version of their Part 103 Firefly (video). Watch for more on that aircraft, too. Not left out of the mix, weight shift trike producers are showing better staying power than powered parachute producers that have become a bit thin ... Powrachute is still going strong but many others are curiously quiet. Powrachute, with the fanciest carriages in the business, has created a sideline of producing trike hardware for Evolution Trikes, and they all exhibit some of the finest metalwork in light aviation with numerous special features you rarely see on even the better fixed wing aircraft. Evolution showed their newest aircraft as promised at Sebring earlier this year. Called Rev, I plan a full story on this trike as it is so unique that a paragraph cannot do it justice. When you read that story later this week, you'll see what we examined at Sun 'n Fun ... the strangest-looking contraption imaginable, until you realize its purpose. Rev — shortened from Revo, their super-deluxe trike that I consider the Cadillac or Mercedes of weight shift trikes — is a single place Part 103 machine that can go from flying to ready to roll into a trailer in six minutes, by a single person. We saw and videoed them doing precisely that. It's an amazing construction that, like their Revo, seems to leave no detail unconsidered. I look forward to tell you more about Rev, a surprisingly complete machine with a modest and affordable starting price of only $17,900; in typical Evolution Trike style, they allow you plenty of options as you may wish. Thinking of highly detailed aircraft for modest prices, we also looked at and videoed the Fly Hard SkyCycle (earlier video) showing the most stunning paint job I saw any where on the grounds of Sun 'n Fun. Mike Theeke's SkyCycle on display was an out-and-out effort to win — get this! — his ninth award in as many years at the show. What do you do when you've already won eight awards in eight years? Well, you're seeing it in the nearby photo and this machine is also Part 103 and costs less than you might think ... although not with the 15-layer-deep airbrushed paint job. You see the nose cowl where the quality was easiest to photograph, but the same treatment was executed on the wheelpants, engine parts, and even the BRS parachute canister. Combined with metal-flake finish on the wingstruts, the appearance was nothing short of stunning. On the opposite end of Part 103 in light aviation, here come the Light GA or LSA 4.0 airplanes, four seaters from LSA producers that are building like an ocean wave. In between, we see continued strength in Light-Sport Aircraft and you will read more about some of these in the days ahead and watch for new videos in the weeks ahead. Despite a still-recovering world economy, some years after the recession supposedly ended, global light aviation is doing remarkably well, in my opinion. I follow the light aircraft industry as closely as I can and I see it as healthy and vibrant though more sales and less interference would both be welcome. A brief explanation ... Some readers sent email asking why — after we spoiled you with daily articles before and during Aero — our reporting seemed to stop. It's a reasonable question. The main culprit was the back-to-back scheduling of two major airshows, one in Germany and one in Florida. I simply ran out of time to collect and organize photos, then sit and write articles. I wish the two events would have cut us a bit more slack but so it goes. The second reason is our attention to video shooting at Sun 'n Fun plus several meetings with FAA. Videos now form one of our most important content types and we were in constant motion at Sun 'n Fun shooting 30 or more fresh videos that you'll be seeing shortly. Every remaining minute was full working on behalf of the light aircraft industry and at the end of 14-hour days, I had no energy to also write and post. The good news ... I'm back at my desk and will crank out articles as quickly as possible. THANKS for your loyal readership (and viewership)! Part 103 ultralight activity was not the news I expected to report from Sun ‘n Fun 2015, certainly not as my first report. After an intense week shooting video interviews at Sun ‘n Fun 2015, I am impressed to report that Part 103 is much more than alive and well. For those that may have missed this unique category, Part 103 ultralight vehicles (FAA’s deliberate wording) are single seat flying machines of varying description that need no medical, not even a pilot license, no N-number registration, and can be sold ready-to-fly. The entire FAA regulation for them can be printed on the front and back of a single piece of paper. Adding to the charm of rarely having to interact with a government agency in order to have some fun in your airplane are a couple similar efforts in Europe. Germany has its 120-kilogram class (264 pounds) and England has its SSDR category (Single Seat De Regulated). Is a Four Stroke Part 103 Airplane Possible? Some people have long believed that Part 103-legal weight shift trikes or single place powered parachutes may be possible but I've often heard the pronouncement, "You cannot make a legal three axis Part 103 airplane." I wonder if those folks are ready to admit their error?• Those attending the 2015 Sebring Expo will want to examine the new Aerolite 103 with a Briggs and Stratton four stoke, all freshly mounted and looking better than ever. That you can fly such an airplane without a pilot's license or medical, without N-number registrations, and buy one ready-to-fly for an affordable price amazes more than a few pilots. However, mostly those machines — a few have been available for some time — use two stroke engines in order to stay within the very confining 254 pounds of empty weight. If you don't care for two stroke power ... Wait no more! You might remember seeing such a machine at Sun 'n Fun 2014. Developer/manufacturer U-Fly-It was indeed displaying such a model but proprietor Dennis Carley didn't feel it was ready for sale at the time. His appropriate caution caused some to again conclude that it simply wasn't possible. In version 2.0 (photos) Dennis indicated he has now gotten the machine flying much better. Most obvious is the great clean up that occurred by moving the engine from on top of the wing (see bottom photo) to below the wing's upper surface. The four stroke engine is still mounted upright. Less obvious is that Aerolite 103 with a four stroke engine can still make the low empty weight of Part 103 to enjoy the benefits of less federal interference in your flying fun. At only 22 pounds more than the Hirth F33 he often supplies but in the new lower drag position, Dennis reports a very acceptable climb rate of 600 fpm from the 22 horsepower the B&S engine. Speeds will be 50-60 mph, Dennis said, making an easy and economical cruise in the four stroke Aerolite. In addition, he said that even with straight pipes the exhaust noise is modest but he plans to add some silencing. One big question: Can a four stroke Aerolite still make Part 103? "Yes," said Dennis, although he noted that you cannot have the strut fairings or gear leg fairings seen in the nearby photos. A parachute will also be required. In case you're wondering if a so-called "lawn mower" engine can do the job of powering an aircraft, Dennis replied, "Well, when is the last time your lawn mower conked out or you had trouble starting it?" Indeed, much as Rotax has taken heat for being a "snow mobile engine," many don't see the problem? The reliability of the B&S engine is not the problem some may envision and you get a much lower noise signature. I look forward to trying this combination, having already become a fan of the Aerolite 103's flight qualities. Prices have not yet been established for the Briggs & Stratton. Certainly some costs have increased but since ready-to-fly Aerolites with a Kawasaki 340 start at $15,900, it seems likely you might be able to buy a fully-built aircraft for somewhere around $20,000 and I think that is a very notable fact. Those who say new aircraft are too expensive must consider Aerolite. Others have been signing on fast. U-Fly-It just took an eight-unit order from their German dealer Vierwerk, sold three more to Russia and processed a few fresh orders from American customers as December 2014 drew to a close. The just concluded year was an excellent one for U-Fly-It with some 40 sales logged. Dennis forecasts 2015 may record 60 sales. So, who says modestly priced, single place aircraft don't sell? If you've been one of the naysayers, I recommend you adjust your thinking. Given the success of Aerolite in the USA and increasingly abroad, I predict the four stroke Briggs and Stratton Aerolite 103 will become a best seller for U-Fly-It. You better come to Sebring and check it out for yourself! HAPPY NEW YEAR to you and yours! • In various articles, I've often reported three axis Part 103 airplanes. Aerolite is one of the most developed and a fairly rare one with a four stroke engine, but it is not alone in make Part 103 parameters or in having a four stroke engine. Here's another four stroke Part 103 airplane reported more than seven years ago and here's a video of another. Some people have long believed that Part 103-legal weight shift trikes or single place powered parachutes may be possible but I’ve often heard the pronouncement, “You cannot make a legal three axis Part 103 airplane.” I wonder if those folks are ready to admit their error?• Those attending the 2015 Sebring Expo will want to examine the new Aerolite 103 with a Briggs and Stratton four stoke, all freshly mounted and looking better than ever. That you can fly such an airplane without a pilot’s license or medical, without N-number registrations, and buy one ready-to-fly for an affordable price amazes more than a few pilots. However, mostly those machines — a few have been available for some time — use two stroke engines in order to stay within the very confining 254 pounds of empty weight. 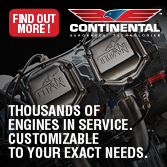 If you don’t care for two stroke power … Wait no more! You might remember seeing such a machine at Sun ‘n Fun 2014. Evidently, a magic number exists to authorities in various civil aviation agencies around the developed world. That magic number — more correctly a range — is 115 to 120 kilograms, or 253 to 264 pounds. FAA led this charge way back in 1982 with the introduction of FAR Part 103 codifying that an airplane, 'er ... "ultralight vehicle" with an empty weight of 254 pounds — subject to certain exceptions for emergency airframe parachutes or float equipment — could be flown without three requirements common to all other aircraft. Part 103 vehicles• do not require registration (N-numbers); the pilots of these ultralights need no pilot certificate of any kind; nor do they need a medical. Such aircraft can be sold fully built, ready to fly. The entire regulation governing their use can be printed on the front and back of a single page of paper. This simply must be one of the most remarkable deregulatory efforts in all of aviation. Thanks to Mike Sacrey and his team for surmounting that Mt. Everest of obstacles to push through this remarkably brief rule. EAA even inducted Mike into the Ultralight Hall of Fame and he noted in his acceptance speech that it was probably the only time an FAA rule writer had been so honored. While the numbers are the same or similar, the names are different. In America FAA says FAR Part 103, Germans refer to their 120 kilogram Class or "120 Class," and in England a 115 kilogram class is known as SSDR for Single Seat De Regulated. All these classifications share similar — but not identical — freedom from the burden and expense of more traditional certification methods. In the USA, an aircraft called the Aerolite 103 has been selling well and flying successfully for many years. Now hear this: even in 2014 you can buy a 32-horsepower Kawasaki 340-powered Aerolite 103 for only $15,900. This is completely assembled and ready to fly. The Kawasaki is manually started or for $590 more you can have electric starting. A 28-horsepower Hirth F-33-powered Aerolite 103 is just $16,790, again fully built and includes electric starting powered by a lightweight Lithium battery. 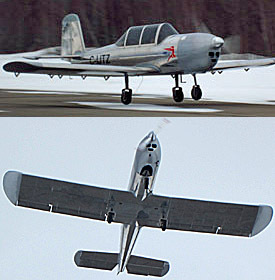 Both models come with choice of colors, two-blade Tennessee Prop, windscreen and nose fairing, basic flight and engine instruments (airspeed, altimeter, slip indicator, tachometer, EGT, CHT), electric flaps, steerable nose wheel with suspension, four-point seat belts, a five gallon aluminum gas tank, Dacron wing and tail covering needing no paint, Azusa brakes, and a anodized aluminum airframe. In Germany, the costs will be somewhat higher as the German 120-Class still demands some levels of approval that are not needed in the USA, plus freight from America to Europe adds expense. The German representatives (see article from Aero last April), Vierwerk Aviation, plans to sell the Aerolite 120 for €25,000 (or about $32,000) but this includes 19% German VAT tax. 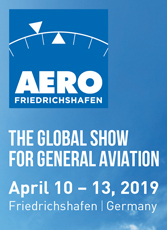 Strip away the tax and the overseas shipping cost and the German Aerolite is only modestly more than we see in the USA and that extra will help pay for the cost of gaining approval. A few days ago, Vierwerk advised, "The extensive flight test program has been carried out successfully. 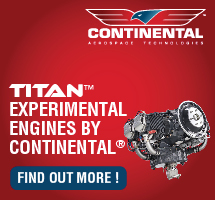 We are very happy about the positive feed back of the test pilots." Test pilots related such comments as, "the pilot gets the feeling of a very well controllable aircraft," and "the pilot gets used to the aircraft quite quickly." Another test pilot who runs a flight school said, "I flew several flight maneuvers to simulate an inexperienced student-pilot to figure out the best methods for recovery. The amazing part was, the [Aerolite 120] always reacted ... with a good self-recovering tendency at all flight envelops with or without flaps." The latter pilot, Ronny Schäfer, added, "All documents, flight test protocols, load test protocols, videos and photos will be sent to the French Aviation Authorities by the end of this week." After their successful test program, Vierwerk announced, "We are certain to receive the EU certification [as] we have accomplished and proven all safety and quality related figures and tests according to the strict German LTF-L." They expect approval in 4-6 weeks. Too many people gripe about the cost of Light-Sport Airplanes even though they are far less costly than most new general aviation aircraft. In truth, they're lower cost brand new than many 10 or 20 year-old GA aircraft. The problem remains that a large number of interested pilots cannot afford $150,000. Hint: consider a partnership; this is an excellent way for some to have ownership. Nonetheless for many, six figures is simply more than they can stomach. Maybe it's time to think about a Part 103 or a 120-Class airplane ... perhaps the Aerolite — Aerolite 103 in America or Aerolite 120 in Germany. Let's review again: a nice, ready-to-fly airplane with most of the features you need to enjoy flying the friendly skies for less than $20,000. You may prefer a two seater or desire fancy equipment; if so, you have many great choices. Yet if you want to get airborne in a sweet-flying little airplane, Aerolite will bring a smile without emptying your retirement account. • "Ultralight vehicle" was chosen to avoid running afoul of FAA definitions, which are quite specific. By steering clear of "airplane" or "aircraft," Sacrey's FAA team was able to put into place the remarkable Part 103 rule that removes so much of the burdensome regulation that confounds traditional American and international airplane development and raises the cost of aircraft. Of course Aerolite and other "vehicles" are actually genuine aircraft and so dealt with by FAA but such a description was apparently needed to get Part 103 through the system. Present-day FAA people suggest such a regulation would never succeed now ... so enjoy the magic of Part 103. Evidently, a magic number exists to authorities in various civil aviation agencies around the developed world. That magic number — more correctly a range — is 115 to 120 kilograms, or 253 to 264 pounds. FAA led this charge way back in 1982 with the introduction of FAR Part 103 codifying that an airplane, ‘er … “ultralight vehicle” with an empty weight of 254 pounds — subject to certain exceptions for emergency airframe parachutes or float equipment — could be flown without three requirements common to all other aircraft. Part 103 vehicles• do not require registration (N-numbers); the pilots of these ultralights need no pilot certificate of any kind; nor do they need a medical. Such aircraft can be sold fully built, ready to fly. The entire regulation governing their use can be printed on the front and back of a single page of paper. This simply must be one of the most remarkable deregulatory efforts in all of aviation. Surprise Star of the Show at Aero? Crowds surrounded Aerolite 120 at Aero 2014. See our video on the Aerolite 103. A more recent update filmed at Sun 'n Fun 2014 will follow soon. Younger pilots can actually think about owning an aircraft when it is priced as agreeably as Aerolite 103 or 120. You can read my pilot report on Aerolite 103. While written in 1997, most information remains valid though improvements have been made. The Lubudde family posed in front of the Aerolite 120, complete with color coordinated airshow garb ... even their shoes match the plane's brilliant color. It depended on whom you asked. As in the United States some were skeptical at Aero. "Oh, this will go nowhere." "No one is interested" "We tried this and it didn't work." Maybe these naysayers are right, but the activity at one booth (or "stand" as they prefer in Europe) seemed to powerfully counteract that doubt. The stand was the Hirth exhibit which featured a variety of aircraft using the German powerplant. The one and only American aircraft example in the Hirth exhibit — indeed, perhaps the only light aircraft at Aero that was Made in the USA — was the Aerolite 103, or as it has been renamed here, Aerolite 120. Why the different name and why the strong interest? To clarify, by strong I mean an airplane sometimes so surrounded by attendees that you could not even get close. As further proof, Aerolite 120 was written up by several publications during the four days of Aero and also garnered television coverage. It took until the last day to photograph Aerolite 120 when I could see the airplane and not simply the backsides of those thronged around the light aircraft. American know the Aerolite 103 for many years. As we found in a Sun 'n Fun 2014 video to be posted when editing is completed, somewhere around 400 Aerolite 103s have been sold. During periods of time after designer Terry Raber created this simple yet complete machine, the company was operated by persons other than Terry and record keeping was not the focus. Documented sales are around 200 but easily twice that many were delivered to customers, nearly every one of them fully built as such is allowed under U.S. FAR Part 103 rules — the entire language of which can be printed on the front and back of a single page of office paper ... itself a remarkable fact in a world of heavy regulation. Manufactured today by U-Fly-It based in Deland, Florida, proprietor Dennis Carley is fairly new as owner. He bought the company from Raber in late 2012 and brought all the inventory and tooling to Florida in January 2013. In that first year he reported 20 sales ... not a bad achievement for a re-startup. At Sun 'n Fun 2014 he said he already had eight sales in 2014 and he thought big things might be ahead as he had recently engaged a dealer in Europe. That was the Vierwerk company, the subject of this update. Vierwerk is a family affair, run by Wolfgang Labudde and wife Thilda along with their son and daughter (photo). Wolfgang put in four years with Remos back when and therefore comes to the table with experience and his eyes wide open. The aircraft will sell for around 25,000 euros (somewhat more than $30,000; more on that below). It is less costly in the USA but in Germany, the Labuddes have to spend considerable funds to gain approval. A new 120 (kilogram) Class was proposed by the German government more than a year ago and Wolfgang and team must make a few engineered changes and then seek approval, a process handled in the country by organizations DULV and DAEC, private aeroclub operations sanctioned by the authorities to regulate light aircaft. This arrangement benefits companies and their customers by greatly reducing the regulatory burden but you still have to prove the machine quite thoroughly. Already Wolfgang and his group have improved in the instrument panel (photo) and installed German Winter instruments. He also upgraded the fuel lines and improved electrics with more robust connections and switches located in places where they will not interfere with normal operations. Officials also require rudder limit stops that are not present on U.S. models. All these and more changes followed by testing — to include calculated wing loads and physical testing — explain the higher price in Europe. Let me repeat: €25,000 is the retail fly-away price including VAT (value added tax) that is much higher than U.S. sales tax. This very affordable cost — and the charm of this simple yet well equipped aircraft — explain the strong interest the Labudde family saw at Aero 2014. Team Aerolite 120 stated, "For the first time the Aerolite 120 is available to the European market as a deregulated Microlight Aircraft in the 120 kg category." The new category and its potential is what produced the comments at the start of this article. Yet it also represents real promise. If aviation is serious about engaging new pilots, aircraft that cost hundreds of thousands of dollars or euros is not how it will likely happen. In the USA, we have Part 103 since 1982, and that program has never been overloaded with additional regulation, partly as it has proven adequate. Safety of such light aircraft is good even though some will say that's because not many are flying. Perhaps, but they do exist and I point to the success of Aerolite 103 in the U.S. as evidence that this is not an invisible segment. So Europe is embracing their 120 Class (264 pounds empty) and England has its SSDR classification, with the letters standing for Single Seat De Regulated. I love the Aerolite 103. I've flown it on several occasions and find it a delightful flying machine that has no evil qualities and largely flies exactly as you'd expect. I wish Dennis Carley and the Labudde family great success but I think I'm late saying so. It appears success has already found them and that puts a smile on my face and those who contemplate finally being able to afford an aircraft to call their own. It depended on whom you asked. As in the United States some were skeptical at Aero. “Oh, this will go nowhere.” “No one is interested” “We tried this and it didn’t work.” Maybe these naysayers are right, but the activity at one booth (or “stand” as they prefer in Europe) seemed to powerfully counteract that doubt. The stand was the Hirth exhibit which featured a variety of aircraft using the German powerplant. 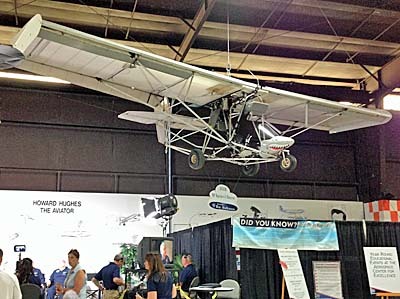 The one and only American aircraft example in the Hirth exhibit — indeed, perhaps the only light aircraft at Aero that was Made in the USA — was the Aerolite 103, or as it has been renamed here, Aerolite 120. Why the different name and why the strong interest? To clarify, by strong I mean an airplane sometimes so surrounded by attendees that you could not even get close. As further proof, Aerolite 120 was written up by several publications during the four days of Aero and also garnered television coverage. A Moller SkyCar for every garage? Paradise City's new layout was designed by architect and Sportair USA owner, Bill Canino. Several news items in our March 2013 LSA News Wrap and we'll get to it ... right after this: We're thrilled to tell you that — for the second month in a row — ByDanJohnson.com achieved another record. Despite fewer days, February substantially exceeded January's Unique Visitors, reaching another all-time traffic mark. Last year was amazing and 2013 is even better. THANKS so much for your regular visits and welcome to our new readers! Sam LS Flies — Pilots love new developments, so aviation media outlets jumped all over the first flight of Thierry Zibi's Sam LS. The retro-looking, all-metal Light-Sport candidate (it has not yet gone through the Special LSA process and will initially be sold as a kit) attracted plenty of attention at the Sebring Sport Aviation Expo where the company bought a premium position just inside the main gate. By Sun 'n Fun in less than one month, Thierry will hit another benchmark as the aircraft flies for the public. Doing test pilot chores in Canada, Raphaël Langumier performed straight and level flight, 30-degree banks, and reported a max level speed of 127 mph (110 knots). First kits may ship by late summer 2013 at $39,000 with a ready-to-fly model priced at $135,000 following later. Look for Thierry and Sam at Sun 'n Fun. Meanwhile check our video. LSA Projects Arrive in Florida — No less than three LSA companies have recently struck deals with Florida airports winning the support of local government officials anxious to provide jobs. 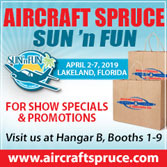 • Renegade LSA, producer of the Falcon and a key figure in the development of a LSA-oriented Lycoming O-233 engine, moved into a 70,000 square foot facility at the St. Lucie Airport. Proprietor Doc' Bailey said, "We're here, we brought everything down from Missouri." According to WPTV Online in early March, Renegade "will hire 75 and commit $1.7 million in capital improvements in Fort Pierce." Ever busy, Bailey also announced plans to assemble a LSA-version of the venerable Pitts Special biplane. • Next, a company called Italico is planning big things at the Kissimmee, Florida airport where a reported 55 jobs are waiting. Here's one of two Italian companies aiming at U.S. production. The European company EuroALA tried production in Malaysia but is now focused on building the Alfredo di Cesare JetFox design reborn as the Fredo X-1 in the USA. Promoter Sonny Buoncervello attended Sebring 2013; his experience helped create interest from local government officials in Kissimmee. • Then we have Phil McCoy and his plans to recreate the Italian Storm company at the Bartow, Florida airport. His Light Sport America company plans to manufacture and sell four Storm Aircraft models: the all-composite Storm Rally, the Rally Amphibious, the all-metal Century, and the Century Conventional. Price are forecast to range from $99,000 to $117,000. Light Sport American also plans to produce several Storm kits, including the Fury, Fury RG, and 400. Reporting the story, the Lakeland Ledger's headline read: "Maker of Sport Aircraft Moving to Bartow Airport, Hopes to Employ 125 by 2016." • So that's 75 workers at Renegade, 55 at Italico, and 125 at Light Sport America for a total of 255 jobs. I hope it works out but given such great promises while unemployment remains high, no wonder several other Florida airports are also pursing LSA companies. Aerolite Moves to Florida — Clearly, Florida has appeal proved by yet another design moving south. Terry Raber's charming Aerolite 103 is now going to call Deland, Florida home. In 2012, Terry decided to pursue non-aviation business interests. After contacting U-Fly-It owner Dennis Carley a deal was struck resulting in relocation of the Aerolite production facility. Dennis earned a Grand Champion and other awards for his craftsmanship; he's built more than 100 ultralight and experimental aircraft over the past 20 years. Aerolite 103 distinguishes itself through a remarkably low price ($16,500 RTF) for a surprisingly well equipped, full featured Part 103 ultralight, which itself means no pilot license of any kind, no N-numbers, and no medical ... all for well under the average price of a new car. I can attest to Aerolite's fine flying qualities and long proven design. Catch our video on this fun, inexpensive aircraft. UAE Embraces LSA & ASTM — Adding to countries like USA, Australia, Columbia, Brazil, the EU plus other countries, Light-Sport Aircraft that meet ASTM standards got a boost when the United Arab Emirates (UAE) directed their CAA officials to develop regulations to open their skies to Light-Sport Aircraft. Reported by Arabian Aerospace Online, "Globally, [UAE's] CAA joins only a few authorities providing regulation for the LSA sector." The ePublication also reported that Czech Sport Aircraft spent the last day of the show demonstrating the PS-28 Cruiser to senior GCAA officials. PS-28 appears to be what Americans know as the SportCruiser. One of the solid promises of the SP/LSA concept involves using industry-written ASTM standards to gain acceptance from regulatory authorities the world over. All those who have labored long on these standards can feel satisfaction from the growing international acceptance. Belite Updates — The ever-inventive James Weibe is promoting his latest work on a Belite ultralight aircraft with a "strong running, reliable four stroke engine." He reports the powerplant, a half-VW with dual ignition supplied by Scott Casler at Hummel Engines, uses just 1.7 gph of 91 octane MoGas or 100LL. James says this is an engine "proven in aircraft use for many years, weighs 88 pounds, has dual ignition, and develops 45 horsepower." He adds that the engine can be built from a kit, purchased fully assembled, or scratch built from VW parts." • James also refers to his shiny, new and "beautifully engineered aluminum airframe" that has "a flying weight of 278 pounds including parachute." The realized weight reduction finally allows the four stroke engine in an aircraft ... 'er, ultralight vehicle, that can make Part 103's tight limitations. If you're intrigued by this Part 103 entry from a fellow who's pursued it with zeal, read lots more detail in his blog. Moller SkyCar 200 LSA — Perennial pie-in-the-sky TV-Jetson-car developer Moller International claims a new investor in this announcement on the NASDAQ website, "[A new joint venture will] jointly produce numerous models of its vertical takeoff and landing aircraft. The venture will initially invest $80 million of a planned $480 million investment with the objective of producing a variety of VTOL aircraft by 2014. Production will include the Skycar® 200 LS, Skycar® 400, Skycar® 600 and Neuera| aircraft."" The reason I paid attention to the article was that one of the models, Skycar® 200 LS, is referred to as a Light-Sport Aircraft version. You can follow Moller International under the stock symbol MLER. The company has long pursued their unique VTOL designs though creating a actual market has eluded them. Especially as Moller always promoted multiple engines on its other designs, it would take some clever engineering to have the single engine allowed on LSA power four ducted fan thrusters. ADS-B Devices You Don't Panel-Mount — Soon I'll gain experience with a loaner Garmin GDL 39 to see weather and traffic on a Garmin 796. I've come to love the 796 and its many capabilities. However, now that I've become spoiled with ADS-B services (of free weather and traffic info) on Dynon's SkyView, I wanted to compare those features on the 796 as well. Look for a report on this after we get the GDL 39 and the 796 communicating to one another. • Well known for their high-end car audio systems Dual Electronics announced its XGPS170 ADS-B receiver last summer and are now moving into production, said Greg Lukins, VP of new business development and an airplane enthusiast. Paired to smartphones and tablets, XGPS170 delivers data wirelessly through Bluetooth technology; it can simultaneously serve two devices. The small units rests on a non-skid pad on a cockpit glare shield. A built-in rechargeable battery can power the unit for up to five hours. I'm in line for a loaner Dual as well; more on it later. 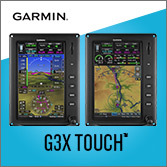 Both Dual and Garmin ADS-B panel-top devices list for $799. Paradise City Update — Good news for the Sun 'n Fun airshow. A potential disaster was averted in the FAA's implementation of sequestration budget cuts. The Lakeland Linder control tower will be staffed during the event due to behind-the-scenes negotiation but following the event, questions remain. • In related news the revised and upgraded Paradise City display area is experiencing brisk space sales. All spaces south of the new road are sold and only a few spaces remain to the north of new Doolittle Road. A major draw is the relocated LSA Mall and the chance to fly demo flights all day even during the main airshow. Rotax BRP has also agreed to sponsor 6-seater golf carts that will run to/from the main gate to the LSA Mall. The carts will also be used to ferry demo flight customers from all over the grounds to Paradise City. It's great to see the resurgence to an area once admired for its charm and high flight activity. Videos and More Videos — As Sun 'n Fun approaches, we're planning many more videos for your viewing entertainment and information. Lots of you tell us you like the videos we do with YouTube sensation UltralightNews (more than 6 million views!) and we're happy to provide more. Yet listen to this fact: with nearly 250 videos already posted on ByDanJohnson.com, we offer the equivalent in viewing time of more than 20 full-length motion picture films ... all for free. Enjoy! Several news items in our March 2013 LSA News Wrap and we’ll get to it … right after this: We’re thrilled to tell you that — for the second month in a row — ByDanJohnson.com achieved another record. Despite fewer days, February substantially exceeded January’s Unique Visitors, reaching another all-time traffic mark. Last year was amazing and 2013 is even better. THANKS so much for your regular visits and welcome to our new readers! Sam LS Flies — Pilots love new developments, so aviation media outlets jumped all over the first flight of Thierry Zibi’s Sam LS. The retro-looking, all-metal Light-Sport candidate (it has not yet gone through the Special LSA process and will initially be sold as a kit) attracted plenty of attention at the Sebring Sport Aviation Expo where the company bought a premium position just inside the main gate. By Sun ‘n Fun in less than one month, Thierry will hit another benchmark as the aircraft flies for the public. A most unusual critter appeared at the Oshkosh Arch, the electric eVolo helicopter with 18 electric engines (yes, it hovers!). Randall Fishman's 4th Generation electric airplane. The ULS is also Part 103 legal. Pipistrel reported selling several aircraft, focused on this great-bargain Alpha model that earned SLSA approval while at the show. B.O.T. Aircraft now produces the Speed Cruiser, with 60 improvements on an earlier model, the Bilsam Sky Cruiser. Minnesota's Ion Aircraft boasted of their new U-tail configuration. A little humor at the event was likely often photographed... clever. In the near future, we'll present fuller stories of some of the following short bits from Oshkosh 2012. With UltralightMews, we shot videos on most of the following, too, so watch for those as we can post them. Enjoy! CESSNA & PRIMARY CATEGORY Early on in the week, Cessna announced they would transition their LSA Skycatcher to Primary Aircraft status. That requires a Type Certificate and FAA production approval but the Wichita giant can do this handily even if will add some cost. More on in a later article. However, here's a way Cessna can recapture some 80 orders from Europeans cancelled earlier this year. On a more fun note, it was a pleasure to meet all nine of their youthful ambassadors that worked in the Discover Flying Challenge program. We shot a video featuring each participant and we'll post that as soon as possible. (In the near future, we'll feature a brief review of Primary Category versus LSA.) AHOY, AKOYA! Lisa gave a first-ever U.S. showing of their dreamy Akoya seaplane. I got to climb inside it to discover that the example at Oshkosh was the one and only flying prototype. If they can build a test article this pretty, I can't wait to see the final version. With its sea wings — front and back I discovered — Akoya spurns the usual chine-edged hull for a smoothly rounded fuselage. Videos show the unusual configuration is quite effective. They invited me to come fly and see for myself and I'll try that in early 2013. ELECTRIC AIRWAYS Randall Fishman of Electric Aircraft showed his superb ULS, a sleek single place ultralight-style motorglider that can make Part 103, he says. At $59,000, this is the most expensive Part 103 ultralight vehicle ever but it is also by far the most sophisticated. The soaring crowd will see that price tag as an incredible bargain and I expect he'll sell a few. I hope I didn't drool on it when I shot photos; it is gorgeous and represents his fourth generation all-electric aircraft. In another corner of the Lightplane area was last year's electric charmer, the eLazair, returning with even better hardware that allows an hour flight after a one hour charge! Now they plan to supply all the drive components where last year they said it was just an example to demonstrate electric flight. HAPPY BIRTHDAY, PART 103! Speaking of Part 103, aviation's most free segment celebrated its 30th anniversary, slightly before the official September date. If you thought the category went away, the truth is you drifted not the aircraft. Several examples are available as brand-new aircraft and one reason you may have felt it disappeared is because serious accidents, fatalities in particular, are very rare. Let's review: you still need no pilot license (none! ), no N-number, no airworthiness certificate, no medical, and you can buy one ready-to-fly. In our heavily-regulated society — aviation most definitely included — this near-total freedom is simply remarkable. Every line of the regulations for this charming class of airplanes can be printed on the front and back of a single page of standard office paper. A standout example is the Aerolite 103, selling nicely equipped (electric starting, flaps, brakes, partial enclosure, and more) for $15,000 factory-built and ready-to-fly. QUICKSILVER RISING Quicksilver, now called Quicksilver Aeronautics, made a splashy return with displays in the Lightplane area as well as the LSA Mall. The company announced plans to pursue Special LSA status (and ELSA) while retaining kits as Experimental Amateur Built. They're already well underway with the work and we might see a new SLSA by Sebring if all goes well. It's also worth noting this company was the very first to earn FAA approval for their GT 500 two seater as a Primary Aircraft... way back in 1993. Their U.S. sales boss, Todd Ellefson took the chance in a press conference to welcome Cessna to their exclusive club (currently also including Rans and their S-7 Courier). SHOW SUCCESS Pipistrel had a spectacular show reporting 10 paid orders -- the "best Oshkosh ever," they said -- split about half for their new $89,000 Alpha (including freight and prep) plus selected other models from their wide line. The Slovenian company with production facilities in Italy has already delivered 10 of the just-finished Alpha Trainer models and goes home flush with new orders. At Oshkosh, the company was able to resolve some questions and earned airworthiness certificates for the new model, making it #126 on our SLSA List. While I didn't ask all companies, I know Flight Design logged several sales and so did Evektor. Though plenty of exhibit spaces were empty around the grounds — and even more unbelievably inside the four giant halls — many companies were upbeat about the quality of visitors and felt they gathered many good leads. SKY ARROW IS BACK! New Sky Arrow producer, Magnaghi Aeronautica, brought their first production example as they rev up the assembly line. This company took over from the now-bankrupt developer and is blending this manufacturing in with their substantial aerospace business. Importer Jon Hansen was all smiles as folks recognized the return of a great flying LSA (that also has Part 23 approval, by the way!). 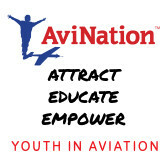 As a very important side note, Sky Arrow has helped more of Able Flight disabled scholarship winners earn their Sport Pilot wings than any other model. ADS-B ANYONE? Dynon showed their new ADS-B box for just $995. Way down from what we once though might be $20,000 per aircraft, the avionics leader offers a remotely-mounted device that interacts with their gorgeous SkyView glass screens and provides airborne traffic and subscription-free weather. Other companies also offered low-cost ADS-B solutions including a portable, panel-top Garmin ADS-B as did Dual Electronics. Grand Rapids also announced a unit so ADS-B, previously affordable only by bizjet owners, is now available for everyman pilots. SPEED CRUISIN' Doc Baily and Reiner Tauren gave Oshkosh attendees their first look at the B.O.T. Aircraft Speed Cruiser. Reiner took this project over from the original designer, made some 60 improvements big and small and was testing the market for yet another LSA model. (FAA officials and I compared notes and we see another 30-40 models in various stages of development!) Speed Cruiser is not yet approved under the ASTM standards but work is underway. REACH FOR THE SKY SkyReach showed their new BushCat, another super value LSA for less than $60,000, decked out in a striking zebra graphic scheme. The company has taken over from Rainbow Aircraft and will continue selling the even-less-expensive Cheetah. This company offers LSA bargains that some folks believe aren't available. LAW ENFORCERS We saw at least three examples of working LSA in the sense of law enforcement usage (the only commercial use permitted beyond flight instruction and rental and only possible for exempt public-service organizations like police or border patrols, etc.). Flight Design's CTLS has been shown before with wing mounted cameras, but we also saw high-tech installations on Tecnam Eaglet and the World Aircraft Sentinal, the latter with a completely different approach from Near Earth Observation Systems, Ltd (NEOS) that represents terrific capability at bargain prices. 912 iS SIGHTINGS Americans got their first view of the slick Arrow Copter gyroplane at the Rotax BRP display. Along with the twin-engined AirCam and another example in the Pipistrel display, this European gyroplane featured the new 912 iS fuel-injected engine that is generating many orders. 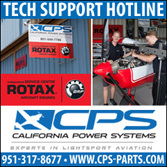 Rotax boss Christian Mundigler reported shipping nearly 200 of the new powerplants just since the spring launch. MAINLINE ATTENTION GA mainstays, Sensenich props and Wipline floats both announced LSA products in a continuing endorsement of the importance of the new aviation category. It was just eight years ago at Oshkosh that FAA announced the Sport Pilot/Light-Sport Aircraft rules and the industry has since output close to 3,000 aircraft in a dizzying 126 models from 89 manufacturers. INTRODUCING ION To most eyes, the Ion Aircraft being developed in Saint Paul, Minnesota looked like a new appearance but "a, not the" Steve Martin and his partner Steve Schultz report work on a second flying prototype. If all goes well they expect to enter production, soon, though they may run into the FAA first article inspection machinery (see below). The airplane has a unusual "U-tail" they call it, and they see some advantages. DIGITAL CIRCUIT BREAKERS? Vertical Power patiently explained their electronic circuit breaker concept to me... again, and I get it now. A few producers (World Aircraft, The Airplane Factory, SportCruiser, and more) are using their VPX box now to simplify their cockpits while adding capabilities and versatility. After routing most electric system through the behind-the-panel device, other systems can employ the greater control. As if to prove the point convincingly, Vertical Power teamed up with X-Plane developer Austin Meyer to create the "Runway Seeker," a clever system that can fly an airplane with a failed powerplant to a safe runway, actually guiding the homebuilt or LSA to a point near final approach. Runway Seeker will adjust flaps and flying speed to optimize a safe engine-out landing at the most appropriate airfield. Much as I believe in airframe parachutes (and Runway Seeker doesn't change my mind), developer Marc Ausman has created a most useful escape system. He reports the spouses of airplane owners are very keen on it; it makes them feel safer flying in their family airplane. FAA WATCHING CLOSER FAA is increasing their visitation of LSA producers operating under ASTM acceptance. The agency plans to visit all active producers. But a newer directive is to be released perhaps in September for FAA to perform compliance verifications before any new LSA model can gain an airworthiness certificate. Such first article inspections will bump back the list of companies to be audited. THE WEEK THAT WAS Taken as a whole, the reports from sellers were positive, more upbeat than last year. Many commented on the empty exhibit spaces even as they said the buyers were better qualified, so quantity isn't everything. Safety at the show was also worth a smile. We love going to these shows and we really love going home afterward. The 12-hour outdoor days are intense but we wouldn't miss Oshkosh for the world. Watch for more in-depth coverage to follow. In the near future, we’ll present fuller stories of some of the following short bits from Oshkosh 2012. With UltralightMews, we shot videos on most of the following, too, so watch for those as we can post them. Enjoy! CESSNA & PRIMARY CATEGORY Early on in the week, Cessna announced they would transition their LSA Skycatcher to Primary Aircraft status. That requires a Type Certificate and FAA production approval but the Wichita giant can do this handily even if will add some cost. More on in a later article. However, here’s a way Cessna can recapture some 80 orders from Europeans cancelled earlier this year. On a more fun note, it was a pleasure to meet all nine of their youthful ambassadors that worked in the Discover Flying Challenge program. We shot a video featuring each participant and we’ll post that as soon as possible. (In the near future, we’ll feature a brief review of Primary Category versus LSA.) AHOY, AKOYA! LARGE SURFACES - Ailerons are flanked inboard by large flaps that adjust to infinite settings (rotating crank control). Here you can see the aileron differential movement; they worked very well. YANKEE POWER - Some new designs are choosing 2 Stroke International's twin-cylinder 460F engines and are pleased with the cost and weight. 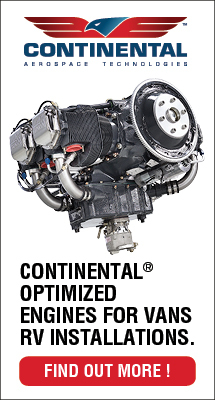 The engine performed well, although some experts are critical of the belt drive system. ALL YOU NEED - The simple - and somewhat RANS-like - instrument panel holds all the essential instruments. Note the Hall wind speed meter to the left and just outside the enclosure. SMOOTH SURFACES - The Aero-Lite 103 design is well-conceived, but Raber's building skills are also obvious. Look at the very smooth undersurface of the ultralight and the general covering and painting quality. GETTING IN - UF! flight reporter Dan Johnson prepares to enter the Aero-Lite 103. While entry is probably better then average, you still must work your way around the struts and a wraparound tube that strengthens the cockpit. GOOD VALUE - Virtually everything you see here is standard (excepting only the parachute, which Aero-Works sells as an option). For a ready-to-fly price of only $10,500, you can't go too wrong. CONCENTRATING REPORTER - Preparing to take the Aero-Lite 103 aloft for the first time, UF! flight reporter Dan Johnson pays plenty of attention to the distinctive features of a new ultralight (the throttle, in this instance). TAILDRAGGING TRI-GEAR - The Aero-Lite 103 is a tricycle gear ultralight, as most pilots prefer. However, it also uses this tailwheel to keep the rudder from harm. LOOK UP - Inside the cockpit, controls are directly overhead: flaps (round crank), kill switch and ballistic parachute (handle with flag). TWIST GRIP - The Aero-Lite 103 uses this multiple control, serving as throttle (you twist) and brake lever (you pull up). It can be adjusted to suit your most comfortable reach. ROOMY COCKPIT - If you're of average height, you won't feel at all cramped in the Aero-Lite 103's spacious cockpit. Conventionally-trained pilots will probably love the yoke control. Standard Features Tricycle gear, 2si 460F-35 engine with belt reduction drive, yoke and rudder pedals 3-axis control, steerable nosewheel, twist grip throttle, nondifferential mechanical drum brakes, flaps, removable strut-braced wings, pilot fairing and windshield, instruments (altimeter, airspeed, tach, EGT, CHT, slip/skid indicator), 3-blade nylon prop, 4-point pilot restraint, 6-inch aluminum wheels, landing gear leg flex suspension, all covering materials (including paint) included. Options Ballistic parachute, factory-assembled option. Construction Aluminum tubing airframe, 4130 chromoly steel, dope and fabric covering. Cosmetic appearance, structural integrity, achievement of design goals, effectiveness of aerodynamics, ergonomics. Pros - Refreshing new strutted design, incorporating the best of several popular ultralights. Meets Part 103 weight (less than 254 pounds empty weight) even with a marvelous load of standard equipment. Conventional tri-gear configuration is preferred by most pilots. Debut model was one of the best first efforts I've seen, especially for a new company. Cons - Company is too new at manufacturing to judge on some matters (though proprietor Terry Raber has been in the ultralight industry for quite a while). Sixty percent of the market buys 2-seaters, and no 2-seat Aero-Lite offered yet. Subsystems available to pilot such as: Flaps; Fuel sources; Electric start; In-air restart; Brakes; Engine controls; Navigations; Radio; (items covered may be optional). Pros - Surprising number of standard systems for a Part 103 ultralight: flaps, brakes, 3-blade nylon prop, 4-point pilot restraint harness, etc. Flaps are infinitely adjustable through a hand crank; available to 40° down. Fuel quantity indicator aft of the seat can be seen with a twist in the seat (tube down side of tank). Fueling should be spill-free inside. Pull starter reasonably accessible from seat. Cons - Hand-cranked flaps don't deploy or retract as quickly as lever-controlled surfaces. Though an engine isn't a "system," some will criticize aspects of it: for example, the belt drive system from 2si. Brakes are nondifferential. Instrumentation; Ergonomics of controls; Creature comforts; (items covered may be optional). Pros - Not only is the seat comfortable, the surroundings are big enough for large pilots (up to about 235 pounds, which covers the vast majority). A 4-point pilot restraint system is appreciated. Open cabin gives ultralight feeling, yet the pilot is protected from windblast. Cons - Too "airy" for cold climates, but Raber promises a full enclosure next year (though this may not be available under Part 103 weight). Entry around a few tubes may be a bit challenging for disadvantaged pilots. Reach to panel is beyond most pilots' arms. Space for radio is minimal. Taxi visibility; Steering; Turn radius; Shock absorption; Stance/Stability; Braking. Pros - Precise steering combined with brakes make for simple ground handling. Brakes were surprisingly effective. Turn diameter was quite good. Several inches of ground clearance will help on rougher fields. A small tailwheel keeps the rudder from scraping if you bounce back to the rear. Six-inch aluminum wheels give secure contact. Cons - Upward visibility makes checking for traffic a little tougher. Sits on tail when not occupied (like many ultralights). No easy seat adjustment. Shock absorption is limited to landing gear leg flex and air in the tires. Qualities; Efficiency; Ease; Comparative values. Pros - Wonderful controls for crosswind conditions. Adequate power for energized takeoff rolls. Wide main gear stance sure to help in some situations. Typical takeoff is about 40 mph and approaches are 40-50, an adequately slow range for a Part 103 ultralight. Initial climbout is steep and fast. Short ground roll on both takeoff and landing. Cons - Slips won't be a useful landing feature due to the lack of side area (though the highly drooped flaps make up for this shortcoming). It's an ultralight; dissipates energy quickly, so you'll want to retain a little extra speed. Quality and quantity for: Coordination; Authority; Pressures; Response; and Coupling. Pros - Yeah! Love the controls. So will you. Fast, light and predictable - Raber has done his design work well. Roll isn't twitchy, yet offers about 2.5 seconds 45° to 45° bank (quite fast). Precision turns were easily done and very enjoyable. Harmony between controls assures you can do quality Dutch rolls quickly and to steeper angles. Cons - About all I might complain about is the lack of slower flap response due to a crank input. Ran a little low on backstick range in steep turns (commonly cured with 100 extra rpm). I didn't care for the twist grip of the throttle. Climb; Glide; Sink; Cruise/stall/max speeds; Endurance; Range; Maneuverability. Pros - The Aero-Lite 103 does well on 35 horses from the 2si 460F-35 powerplant. Sink rate is low, benefiting from the ultralight's light weight. With Vne at 75 mph, the Aero-Lite 103 will run only 63 mph in level flight, exactly as proscribed by Part 103. Cruise speeds were comfortable around 50 mph. Climb reached 1,000 fpm at times (averaging about 800 fpm). If low-over-the-fields is a performance measurement, the Aero-Lite 103 shines. Cons - As a Part 103 ultralight, the Aero-Lite 103 can't be a speed monster, and it isn't (though, personally, I don't consider this a negative). A later enclosed model might be faster, but probably won't fit Part 103. Stall recovery and characteristics; Dampening; Spiral stability; Adverse yaw qualities. Pros - Stalls were mild no matter how I did them. Speeds dropped down to 25 mph according to the on-board Hall wind speed meter (usually an accurate device). Adverse yaw was surprisingly little considering the control authority present. Longitudinal stability checks were positive, recovering quickly enough. Adverse yaw is fairly mild for the size of control surfaces. Cons - Stalls would break when aggravated. Took quite a lot of back pressure to hold steep turns. With engine up high, adding power pushes the nose down (opposite of "conventional," though common on ultralights). Addresses the questions: "Will a buyer get what he/she expects to buy, and did the designer/builder achieve the chosen goal?" Pros - The value provided by the Aero-Lite 103 is so good it makes many other ultralights look expensive. Terry Raber also made his debut model look very good; the sail covering was superb (I'd sure let him build mine!). New manufacturer, but one with experience and delivery promise of two units per month sounds honest. Cons - Yes, it's only a single-seater; live with it. It's hard to come up with overall negatives for this well-achieved machine. 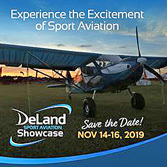 [UPDATE spring 2014] — The Aerolite 103 is now manufacturered in Deland, Florida by U-Fly-It, the contact info for which is located at the end of this article. In addition, a new company is representing the product in Europe under the name Vierwerk. The design appears to be enjoying great interest and support at this time. [UPDATE summer 2011] — Aero-Works, the company referred to in this article written in 1997, left the business several years ago. During its absence a different producer, Wings of Freedom, offered their Phoenix-103, a derivation of the Aero-Lite 103 but with numerous small changes. This article refers to the aircraft built by AeroWorks and will not be identical to the Aero-Lite 103. The companies are different and Terry Raber has no association with Wings of Freedom. Now, in the summer of 2011, I am happy to report the original designer is again the producer of the Aerolite 103, and it retains an excellent price, less than $15,000. Best Bargain in a Ready-to-Fly Airplane? Original designer Terry Raber again leads his company and will professionally build your Aerolite 103... for less than $15,000! Many pilots speak of airplanes they cannot afford. Indeed, $150,000 Light-Sport Aircraft are priced beyond common budgets. One way to solve this is through a partnership or fractional ownership... and I will be writing about partnerships later this year. *** Another way involves a ready-to-fly aircraft for under $15,000. You read it right: $14,995 for a ready to fly aircraft with many features you want including electric starting, flaps, brakes, tricycle gear, and instruments. I must also mention it successfully meets U.S. Part 103 ultralight regulations. Plus, it is great fun to fly! *** Welcome back to Terry Raber's brilliant Aerolite 103... literally brilliant in day-glow orange (photo). An amazing value, let me list a few of the standard equipment items: Factory-built; Hirth F-33 engine with electric start & battery; nose fairing & windshield; instruments including airspeed, altimeter, tachometer, EGT, CHT, and clock; electric flaps; steerable nose wheel with suspension; and four-point restraint system (this list does not include everything you get). The only option I'd advise is the airframe parachute, which brings added safety and does not add to empty weight, per FAA. It does add $3,500 of cost. *** Aerolite 103 won't fly 120 knots like an LSA; it can't, legally, as Part 103 aircraft are limited to 63 mph. The also-mandated five gallons of fuel may only provide a couple hours or so of duration, so if you simply must fly from New York to LA, this isn't your bird unless you have time. Admittedly, even at 120 knots, most LSA owners will never attempt such a long flight. But Aerolite 103 can provide years of fun at 55 mph and in a smiles-per-mile evaluation, the finest equipped LSA cannot beat the Aerolite 103. That $100 hamburger in a GA airplane that costs $50 in an LSA need cost only $10 in the Aerolite and your wide-open view of the landscape is nearly untouchable by any other aircraft. *** The only criticism I've heard for this aircraft is that it is built lightly and may not take repeated pounding by student pilots. That Aerolite is built lightly is obvious; it makes Part 103's tight weight limits. In my flight experience with the Aerolite, I found it to have excellent behavior that suggests "pounding" is something an experienced pilot won't (or at least shouldn't) do. *** I am more than pleased Terry Raber has returned to producing the Aerolite 103. If you want to fly for fun and do so economically, I advise you get in line early. If Terry doesn't stay busy building these birds, it will be a complete mystery to me. Even with more than 350 aircraft in my logbook, Aerolite 103 is one of my favorites. Maybe it could be yours? Many pilots speak of airplanes they cannot afford. Indeed, $150,000 Light-Sport Aircraft are priced beyond common budgets. One way to solve this is through a partnership or fractional ownership… and I will be writing about partnerships later this year. *** Another way involves a ready-to-fly aircraft for under $15,000. You read it right: $14,995 for a ready to fly aircraft with many features you want including electric starting, flaps, brakes, tricycle gear, and instruments. I must also mention it successfully meets U.S. Part 103 ultralight regulations. Plus, it is great fun to fly! *** Welcome back to Terry Raber’s brilliant Aerolite 103… literally brilliant in day-glow orange (photo). An amazing value, let me list a few of the standard equipment items: Factory-built; Hirth F-33 engine with electric start & battery; nose fairing & windshield; instruments including airspeed, altimeter, tachometer, EGT, CHT, and clock; electric flaps; steerable nose wheel with suspension; and four-point restraint system (this list does not include everything you get). 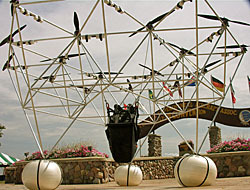 FLYING DESIGNER - After flying a lot of different ultralights, Terry Raber (above and right) created his own, which observers note, "looks like a combination of other designs." They're right! Manufacturers in the ultralight industry believe they know what pilots want or what they will buy, anyway. A 2-seater is usually part of the answer. But, in fact, many industry watchers are wrong. While many observers make the statement, ÒNinety percent of ultralights are 2-seaters,Ó statistics tell another story. 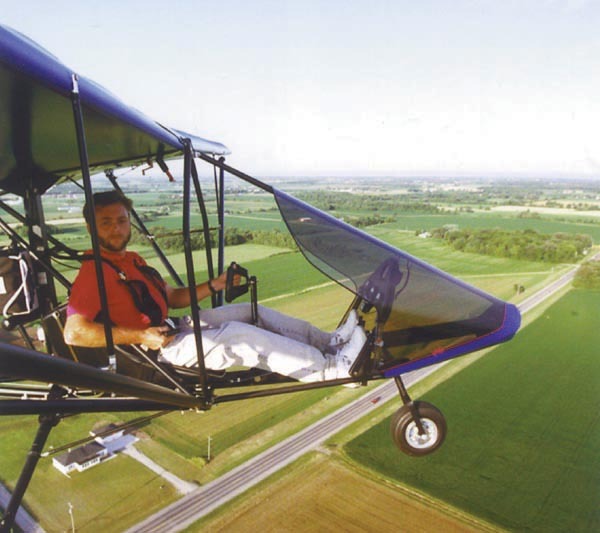 Nearly 40% of ultralight and microlight aircraft sold in the U.S. are single-seaters, according to Ultralight Flying! magazineÕs surveys of manufacturers. Despite the polling results, however, those experts have a point. Two-seaters do represent the majority of ultralights and microlights sold. Yet, just when you think 2-seaters are going to take over the whole market, along comes a new trend. Maybe it was FAAÕs lack of action on Part 103 changes, or maybe manufacturers simply decided to take on the challenge of staying within 103Õs tight weight, speed and fuel quantity restrictions. Whatever the correct answer, it doesnÕt change the fact of a growing population of Part 103 ultralights. Terry RaberÕs Aero-Lite 103 is one of these, and a fine bird it is. Part 103 Comes on Strong The last couple years have been interesting for Part 103 ultralight development. In something of a watershed event, Kolb introduced their purpose-designed Part 103-defined FireFly to a warm reception in Õ95. Since then, quite a few more offerings have flown onto the scene. Of course, quite a number of Part 103 ultralights were available before the FireFly, but since the Kolb entry, those introductions are more focused at wringing the very most out of an ultralight meeting Òthe ultralight rule.Ó Besides the FireFly, I can count other recent Part 103 ultralights such as the Sky Raider, Air-Bike, Aventura, 1/2 Tun, Flitplane, Hurricane Ultra 103, Javelin and Tornado 103. Not all of these rely on the 26-hp Rotax 277 to keep the overall weight down, instead offering more substantial engines. Certainly this move was part of the reason why the market embraced KolbÕs FireFly, which uses a 40-hp Rotax 447 engine. These newer Part 103 ultralights join established models such as the Hawks, MX Sprint and Sport, miniMAXes, Thunder Gull J, FP-202 Koala, T-Bird I, Challenger U/L and others, including some of the trikes and powered parachute models, and more. 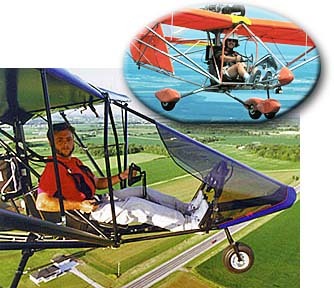 (Sorry, I canÕt list every Part 103 ultralight within this article see Ultralight Flying! magazineÕs ÒUltralight and Microlight BuyerÕs GuideÓ in each January issue.) So? Do you genuinely feel you have limited choices for Part 103 ultralights? Hardly! You have many, nice choices. Fortunately that menu of choices recently got even more delicious with the introduction of the Aero-Lite 103. Terry Raber of Aero-Works believes that even though these many choices exist, they donÕt all satisfy as they could. He set about making an ultralight with a better combination of features, performance, handling, looks and price. He succeeded handsomely, I think, and judging by reactions IÕve heard, IÕm not alone in my conviction. Mixture of Other Successes One thing IÕve heard frequently is that Aero-WorksÕ new ultralight looks like a mixture of other popular ultralights. Many folks say it has, ÒÉthe nose of a RANS,Ó Òthe wings of a Hawk,Ó Òthe tail of a T-Bird,Ó Òthe yoke of a GT 400,Ó etc., and an airframe that is somewhat reminiscent of the Quicksilver line. Not everyone sees the same attributes when they look at the Aero-Lite 103, but just about everybody seems to like what they see. Raber is quick to acknowledge he borrowed from others who preceded him. ÒWe took É ideas from everybody and mixed it all together,Ó he explains. The Aero-Lite 103 has got a little bit of T-Bird in it because the T-Bird has a real strong tail.Ó He blends this with ÒÉa large tail surface like a Hawk because Hawks fly great with big tails.Ó (HeÕs not the only one who believes this, by a long shot.) Raber states, ÒI used the same airfoil as the Hawk,Ó adding that heÕs owned and flown Hawks for years and just loves the way they fly. Borrowing from prior successes is a way of life in aviation, but Raber seems to have found a combination that buyers should like. A substantial part of this popularity has to do with price and the list of what comes standard with the ultralight. The other part has to do with the presentation Raber makes; when introduced this past summer, his ultralight was beautifully finished and simply looked desirable. As enthusiasts know, some ultralights arenÕt so cheap anymore. While ultralights in general remain among aviationÕs lowest-cost machines for new aircraft, the truth is, prices have risen steadily. When buyers continually ask for more features, larger engines, extra seats and so forth, manufacturers have no choice but to charge more. In fact, some say you can buy a good used general aviation aircraft for about the same money as a new ultralight. This isnÕt exactly a fair comparison, because the typical 25-year-old Cessna or Piper might cost the same in purchase price, yet the ultralight carries far lower costs of operation, maintenance, licensing and insurance. And this certainly doesnÕt take into account the sheer fun factor that suggests youÕll have a better time flying an ultralight versus driving around in some increasingly ancient general aviation airplane. However, it simply isnÕt accurate that all new ultralights have gotten spendy. While some of the more deluxe and capable ultralights (or microlight aircraft) can run past $20,000, some companies have better deals available. Aero-Works is one of them. In offering the Aero-Lite 103, the company heard the wish list many buyers have and worked diligently to offer those things at what I consider a very reasonable price. Bargain Basement Flyer? The Aero-Lite 103 is offered for $10,500 ready to fly. No kits will be available. The bird comes complete with a 35-hp, twin-cylinder 460F-35 2-stroke engine from 2 Stroke International in Beaufort, South Carolina (an updated engine once widely known as the Cuyuna). Like Kolb Aircraft with their FireFly, Aero-Works is smart to use a higher-horsepower powerplant with twin-cylinder smoothness. Overwhelmingly, buyers have voted with their pocketbooks and insisted on larger engines. Through careful engineering, these two companies and others have made their Part 103 ultralights stay on the FAR-imposed weight diet and still be able to provide powerful engines. Yes, thatÕs right! Only 10,500 bucks for a complete ready-to-fly ultralight youÕll be proud to fly with your buddies. Am I being too kind to Raber and his Aero-Works operation? The answer is: I donÕt think so. Plain and simple, Raber has made the Aero-Lite 103 an excellent value. Whether itÕs the ultralight for you gets into other areas than price and feature list. So, HowÕs She Fly? I willingly hopped in, when offered, and took the ultralight for a spin. Well, hopped in is a bit of an exaggeration, I guess. While entry is probably better than average, you still must work your way around the struts and a wraparound tube that strengthens the cockpit. I was also careful to sit down easily, as the Aero-Lite 103 rests on her tail, meaning you can slap down on the nose gear if youÕre clumsy or inattentive. On a hour-long flight, the Aero-Lite 103 proved to be a worthy member of the ultralight fleet. The good-looking little bird has a superb roll rate that responds well to your control yoke input. Pitch is also responsive, but not so fast that you need to pay close attention at all times. And overall, controls coordinate well between roll and yaw, making the Aero-Lite 103 a pleasure to steer around the sky. Now, personally, IÕm not a yoke enthusiast. IÕd much rather have a joystick, as I find them more intuitive just point the stick where you want to go and more comfortable. You can lay one arm on your leg and handle a joystick, where one tends to hold the yoke with both hands, and in any event, you have no arm support while doing so. Nonetheless, general aviation has made the yoke a standard feature on airplanes and some buyers will see Aero-WorksÕ use of a yoke in a good light it looks ÒproperÓ and Òconventional.Ó In addition, IÕve heard some buyers say they liked yokes better. So be it. IÕve long said airplane buying is a highly personal event. Takeoffs are quick and landings are short in the Aero- Lite 103. Some of the ultralightÕs takeoff and landing performance is thanks to an overhead hand-cranked flap system (also a standard feature, by the way). The flaps can be set at any angle up to about 40¡ and this can help quicken takeoffs and shorten landing approaches. You climb out at 40 mph and approach at 40 to 50 mph, depending on conditions. Of course, it also doesnÕt hurt that those 35 horses are pushing you authoritatively into the sky. The Aero-Lite 103 can easily be handled in crosswinds of reasonable wind velocity because roll rate and authority are good and control harmony is excellent. Terry Raber says he used his experience from flying many other designs to create his Aero-Lite 103, and from my experience in flight, IÕd say he met his objective quite well. Controls also operate very smoothly, thanks to the use of some interesting push-pull cables. Raber indicated these are exceptionally flexible control links, which addresses one concern of push-pull (Teleflex-type) systems. In fact, Terry says, ÒYou can tie them in a knot and theyÕll still operate fine.Ó I didnÕt try this (and kids, donÕt do this at home), but certainly, I had no complaint about the way they operated in flight. In addition, these are redundantly connected, so should one hang up, you still have the other. This should help you get down safely where you can find out what happened. Ground handling during taxi operations as well as takeoff and landing phases is excellent, thanks to a closely coupled nosewheel and main gear brake system. The brake lever itself is unique. With your left hand, you operate the throttle, mounted on a lever by your left thigh. Actually, the lever operates the brakes, which you pull up to activate. Given that Raber cleverly designed adjustability into the leverÕs operation, you can place the off position where it makes a comfortable reach for your arm length. However, IÕll gripe a bit about the throttle on that lever. While itÕs neatly combined with the brake lever a feature I rather like it is a twist grip that I donÕt like. The last ultralight I flew with such a throttle arrangement was the Javelin (see ÒPilotÕs Report Catching the Javelin,Ó June Õ96 UF!). On that ultralight, the twist grip had to be physically held at the power setting you desired. Capella was to upgrade that to a friction-lock system and they needed to do so. Aero-Works already included such a feature, so you could position the throttle where you wanted it and then let go comfortably. I have no complaint with the hardware or execution; I simply donÕt like twist grips on ultralight throttles. HereÕs why: Quick! You need to go around because some idiot pulled on the runway while you were on short final. Which way do you twist? Outward? Inward? You see? It isnÕt intuitive. Throttle levers generally are pushed forward for faster (more power) or backward for slower (less power). That makes sense, quickly, in tense situations. A twist grip control must be learned, and that learning probably wonÕt translate to another plane. Standard control methods have value, at least for people like me who fly different ultralights all the time. Twist grip throttles arenÕt the standard. Speeds on the Aero-Lite 103 run about 50 mph in level cruise, but this Part 103 ultralight can only run 63 mph in max level flight and it does comply, in my experience. Since it isnÕt allowed to be a speed demon, the Aero-Lite 103 uses its power for other useful purposes. With its 35 horses pushing you aloft, you can see between 800 and 1,000 feet per minute climb rate. You can keep this up about as long as you like because engine cooling is excellent, thanks both to the fan-cooling system and the good engine location above the wing. A Part 103 ultralight with loads of power is a delight to fly. Vne (velocity, never exceed) is 75 mph, generously above the 63-mph, full-power-in-level-flight restriction of FAR Part 103. Stalls are very mild affairs, with the break coming at around 25 mph, perhaps a shade lower when you extend the large flaps to their maximum 40¡ angle. Like the throttle, the flap control is also a bit nonintuitive. Like Piper aircraft, the Aero-Lite 103 uses an overhead crank control. ItÕs easy to use, hasnÕt much resistance, and sets to an infinite number of positions all good attributes. Yet, which way do you go to lower? Which way to raise? ItÕs something youÕll simply have to learn with experience. You must also look to see how far you moved them, whereas a lever system generally can be operated without looking at the surfaces. In time, these uncertainties will disappear, though, and youÕll not have any complaint about the efficiency of the flaps. The Aero-Lite 103 has its share of adverse yaw, but that was expected in an ultralight which exhibited such fine control authority and quick response rates. Use of a 3-blade prop, when added to twin-cylinder detonation, aids the sensation of smoothness in low-power situations. It should make the Aero-Lite 103 a bit quieter, and some observers presume a plane is better equipped with three composite blades versus an Òold-fashionedÓ 2-blade wood prop. Street Legal? Gee, a swell flying, good performing, definition-meeting ultralight you can buy ready-to-fly for $10,500. Is this too good to be true? You might believe FAA wonÕt allow someone to fully build your airplane for you, but if you do, youÕre wrong. In fact, it is perfectly legal for the manufacturer (or anyone else for that matter) to completely finish your ultralight if it qualifies under Part 103. Naturally, this is precisely one of the reasons why some pilots are attracted to ultralights they donÕt have to build it. Indeed, FAA does not extend such latitude to kit-built aircraft constructed under the 51% amateur-built rule, nor does this leniency apply to ultralightlike airplanes those models which operate like an ultralight but which donÕt fit the definition in Part 103 (or in the exemption for 2-place ultralight trainers). Such news may be a bit too good to be true because the supply of factory-built ultralights for a bargain price is not infinite. Aero-Works can build two ultralights a month, they say, and their order book already has several units that buyers snatched up when it was introduced last summer. Given a good debut and favorable media attention, Aero-Works enjoyed an excellent start in their enterprise. ÒWe would like to keep the business a small Mom and Pop organization,Ó Raber says. ÒWe want to know our customers personally, and we want to keep them happy. When a customer calls for a part or with a question, theyÕll get what they need,Ó he predicts. Who doesnÕt want to hear such a philosophy of business? ItÕs great to be well-treated by your ultralight supplier. However, while such a customer-oriented attitude should keep the order book full, it nonetheless means you may have to patiently wait your turn to get one of these attractive ultralights. Long wait or not, you simply cannot afford to ignore this delightful flying machine as you examine the universe of ultralights available. Assuming the price doesnÕt rocket skyward due to strong demand, the Aero-Lite 103 is one of the good finds in the marketplace. I suggest you give Terry and his Aero-Works staff a call and discuss your interest. But donÕt be surprised if the line is busy. As Ultralight Flying! went to press, Aero-Works indicated they were switching to a 40-hp Rotax 447 engine as the standard engine on the Aero-Lite 103. The resulting increased weight using the 447 will necessitate a change in standard features offered (in order to keep the overall weight less than 254 pounds). Production will be delayed until the Aero-Lite 103 can be flight-tested with the 447. Check with the manufacturer for further details. -Editor Dan Johnson (USUA 15) has been flying for 30 years, logging nearly 5,000 hours in many types of aircraft from hang gliders and paragliders to ultralights, sailplanes and twin-engine general aviation aircraft. 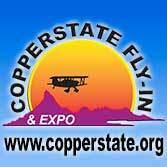 Dan is an FAA-rated Commercial pilot and CFI whose focus these days is on ultralights and microlights. He has flown and photographed more than 200 different models in a writing career spanning 2 decades. He serves as vice president of marketing for BRS and owns an interest in several aviation enterprises. Manufacturers in the ultralight industry believe they know what pilots want or what they will buy, anyway. A 2-seater is usually part of the answer. But, in fact, many industry watchers are wrong. While many observers make the statement, ÒNinety percent of ultralights are 2-seaters,Ó statistics tell another story. 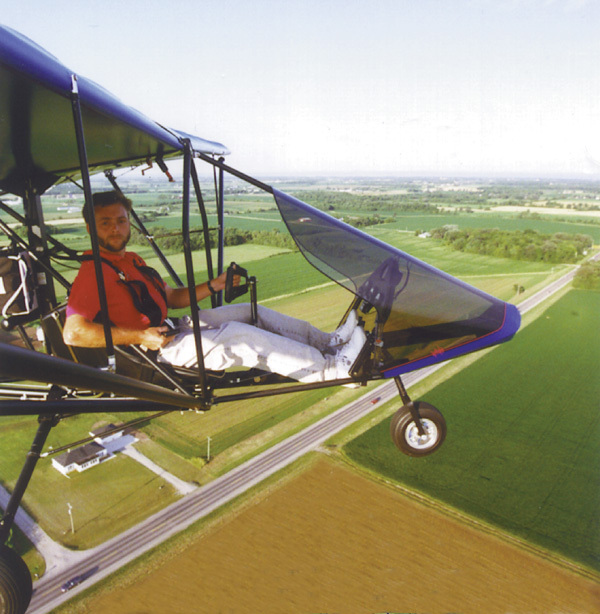 Nearly 40% of ultralight and microlight aircraft sold in the U.S. are single-seaters, according to Ultralight Flying! magazineÕs surveys of manufacturers. Despite the polling results, however, those experts have a point. Two-seaters do represent the majority of ultralights and microlights sold. Yet, just when you think 2-seaters are going to take over the whole market, along comes a new trend. Maybe it was FAAÕs lack of action on Part 103 changes, or maybe manufacturers simply decided to take on the challenge of staying within 103Õs tight weight, speed and fuel quantity restrictions. Whatever the correct answer, it doesnÕt change the fact of a growing population of Part 103 ultralights.